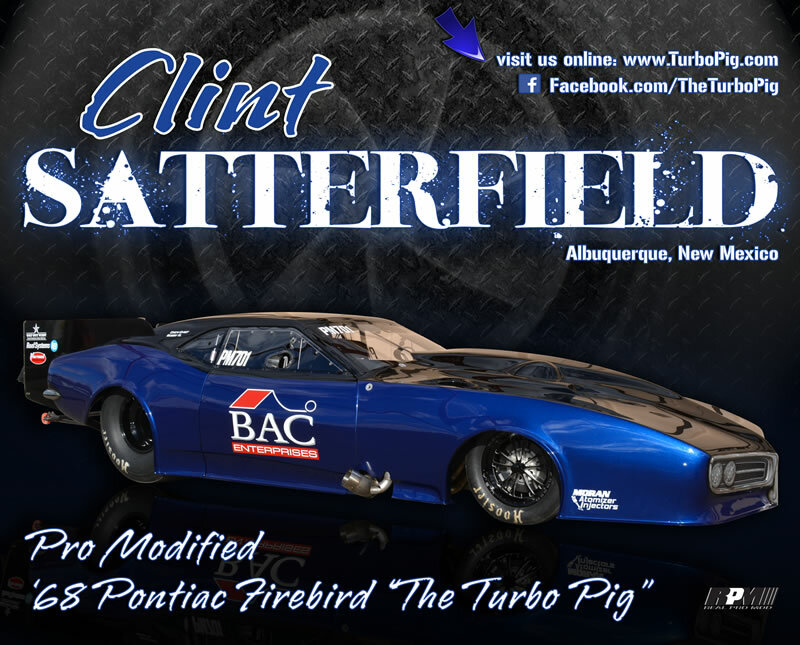 With the start of the NHRA Pro Mod racing season just around the corner, the Albuquerque, New Mexico-based two man team of driver Clint Satterfield and Crew Chief Bob Gardner have partnered with P.TEN Marketing. P.TEN has designed an edgy new hero card for “The Turbo Pig”, the team’s beautiful ’68 Pontiac Firebird, to be used as a promotional giveaway at races and to help encourage fan interaction with the team. Additionally, P.TEN will be overseeing and managing the team’s social media endeavors. Real-time race updates and results will be posted to Satterfield’s Facebook fan page, along with various photos and on-site coverage when available. Developing a strong audience and loyal fan following is key to successfully branding a race team, and P.TEN is proud to be providing these services for the Satterfield team. Like “Clint Satterfield’s Turbo Pig” Facebook page at http://www.Facebook.com/TheTurboPig.